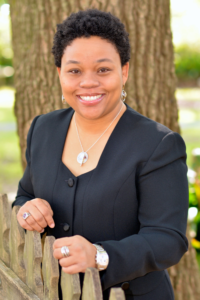 Mayor Keshia Stewart Ford is the daughter of Mr. L.C. Stewart, Jr. and Ms. Velma Payne Stewart. She is a native of Woodville and Valedictorian of the Wilkinson County High School Class of 1998. She received her Bachelor of Business Administration in Finance from Jackson State University (Jackson, MS) in 2002. In 2005, she advanced her education with a Master of Business Administration (MBA) from the University of Dallas (Irving, TX). Mayor Ford has fifteen years corporate Financial/Accounting experience in the defense, manufacturing, and utilities industries as an employee of Lockheed Martin Aeronautics (Fort Worth, TX), Mohawk Industries (Dallas, TX), Raytheon (Forest, MS) and Entergy (Saint Francisville, LA). She is certified in Earned Value Management and Project Management Professional. Mayor Ford has a deep commitment to service. She devotes 200 hrs/yr in support of the March of Dimes. She is a founding member and chairperson of the March of Dimes – Wilkinson County where they have raised over $48,000 since our establishment in 2013. She volunteers and supports the Wilkinson County Wildcats Youth Programs, Woodville Main Street Association and Blaze of Southwest Jackson Soccer League (SWJSL). She is an active member of Rho Lambda Omega Chapter of Alpha Kappa Alpha Sorority, Incorporated, and she is a member of Woodville Baptist Church in Woodville, MS.
On June 6, 2017, Keshis Stewart Ford was elected Mayor of the Town of Woodville. She stands apart with her enthusiasm and determination. Her vision focuses on being a spirited and energetic communication link between the citizens of Woodville. She is the type of Woodvillian who sees opportunities where many see problems. She is the voice that will champion the ideas and innovations that will take the great Town of Woodville to the next level.